Planning to celebrate Christmas and New Year 2018-2019 at home with your family and friends? 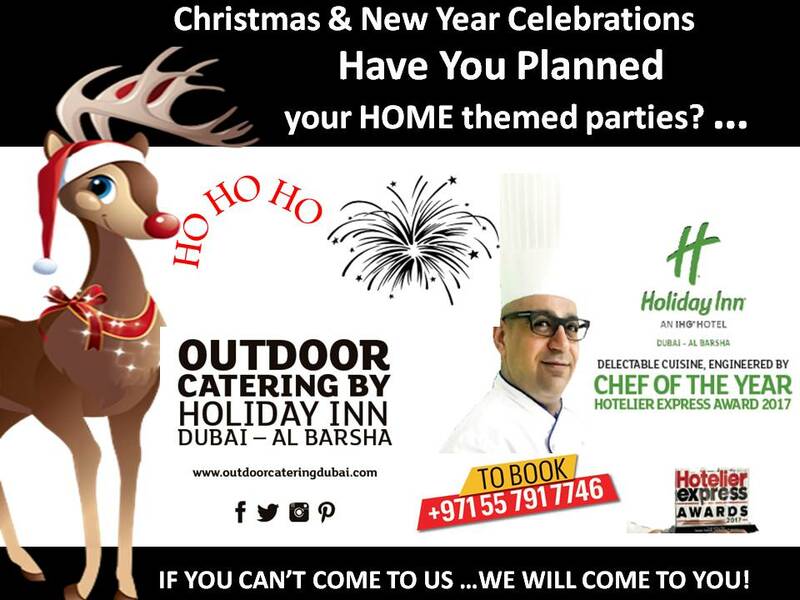 Let OutDoor Catering by Holiday Inn Dubai – Al Barsha take away your headache as we create one of the most spectacular home themed parties in Dubai. « Book Your Festive Theme Parties Now! !